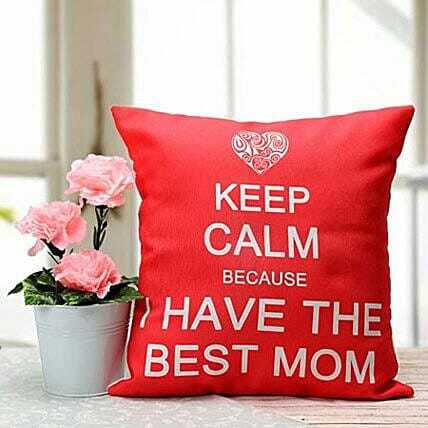 Your best mom deserves the best gift. Choose the loveliest of gifts to make her feel the special person she is. This cushion and plant will take a pride position in the house. She would be more than happy, delighted, and proud because of your choice of words to show your love and gratitude to her.